Usually, business owners want to use the business name instead to the First and Last name in widget and notification emails. Below we will explain to you how to adjust these settings. This setting will enable the use of the business name in the widget and in notification emails. To set up your business name simply login to your Wiremo Dashboard, then go to Customize ⇒ App Configuration. 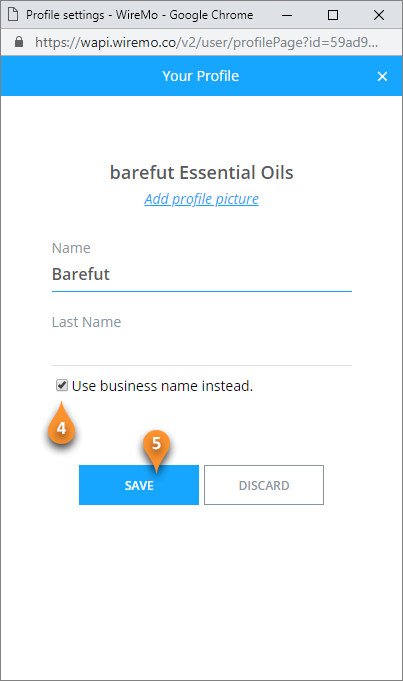 Now in the "Configure your widget" block type the name wish in the "Business name" input box (pin 1). Please don't forget to scroll down and press the "Save" button. 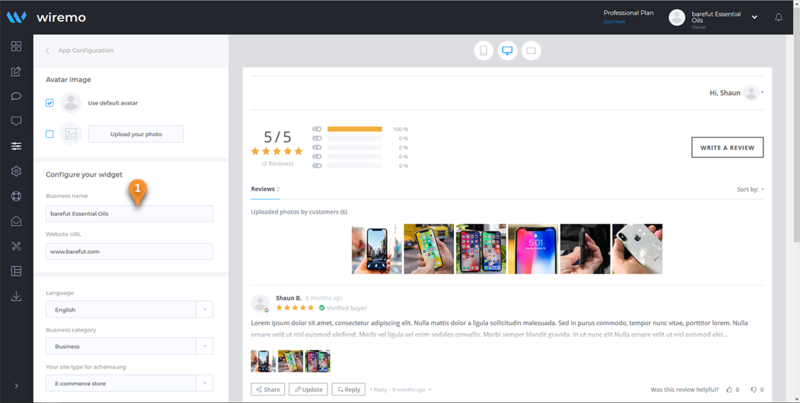 Below you can see some screenshot of the customization, provided by one of our customers. In the Profile settings window just press on the checkbox "Use business name instead." (pin 4) and then press the "SAVE" button (pin 5).